If you’re like a lot of people, you have a stack of old pots in your garage or shed just waiting for the next time you need a container for the house or garden. Before you pop in a plant, though, it’s important to clean those old pots. Whether it’s clay or plastic, that old pot is not only dirty, but it’s probably also teeming with bacteria and mineral deposits. 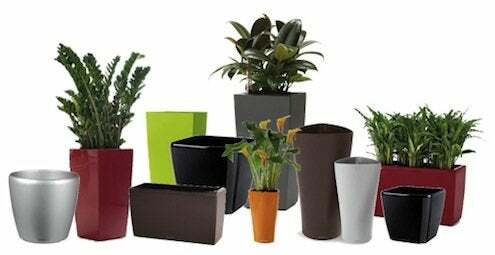 A white film on the outside of a clay pot is a good sign of salt deposits, which can dehydrate a new plant. Those minerals can be on plastic pots, too, but you won’t see any sign of them. They may be invisible, but they can still be dangerous for new plants. Play it safe and protect your new plants by disinfecting any previously used pot before you fill it again. Scrub visible dirt off the pot with a stiff brush, then wash it. A quick rinse isn’t enough—you need to soak it in a weak solution of bleach and water, then clean it with a solution of water and mild dish detergent. Finally, give it a rinse in clear water. A dried-out clay pot should sit in a bucket of water for an hour or so to rehydrate, so it doesn’t leach moisture from your new potting soil.